Use sunscreen: Use a broad-spectrum sunscreen with an SPF of at least 15. When you’re outdoors, reapply sunscreen every two hours — or more often if you’re swimming or perspiring. Seek shade: Avoid the sun between 10 a.m. and 4 p.m., when the sun’s rays are strongest. Wear protective clothing: Cover your skin with tightly woven long-sleeved shirts, long pants and wide-brimmed hats. Smoking makes your skin look older and contributes to wrinkles. It narrows the tiny blood vessels in the outermost layers of skin, which decreases blood flow. This depletes the skin of oxygen and nutrients that are important to skin health. Limit bath time. Hot water and long showers or baths removes oil from your skin. Limit your bath or shower time, and use warm — rather than hot water. 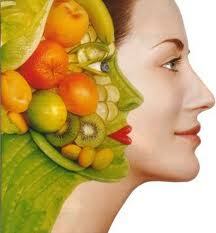 A healthy diet can help you look and feel your best. Eat plenty of fruits, vegetables, whole grains and lean proteins. Uncontrolled stress can make your skin more sensitive and trigger acne breakouts and other skin problems. To encourage healthy skin and a healthy state of mind, take steps to manage your stress. Set reasonable limits, scale back your to-do list and make time to do the things you enjoy. The results might be more dramatic than you expect.